Being a teenage girl can be tough. Young women are constantly bombarded with messages telling them they need to look a certain way, dress a certain way, be a certain way. Sixteen-year-old Melbournian Jade Hameister is trying her best not to pay attention. “There is too much emphasis on chasing perfection,” she says. Jade is chasing something else instead. This year she hopes to fulfill her dream of becoming the world’s youngest person to complete the ‘Polar Hat Trick’ – a feat only a handful of people have accomplished. By the end of 2017, Jade is planning to have completed a three-pronged mission to ski to the North Pole, cross the world’s largest icecap in Greenland and ski to the South Pole. She is already two-thirds of the way. In April 2016, at age 14, Jade completed the first stage of her mission by skiing 150km over shifting polar sea ice to the North Pole. In doing so, she became the youngest person in history to ski to the North Pole from anywhere outside 89 degrees. Jade trains all over Victoria, pulling tyres along the beach at Lorne and along the Kokoda Track to mimic the action of pulling a sled – that weighs as much as she does – over the ice. In May this year, Jade set out on the second stage of her mission, to traverse 540km across the world’s largest icecap in Greenland, unsupported and unassisted. “I was very committed to trying to finish by day 27, which we did, because I wanted to finish aged 15,” says Jade. She turned sixteen the day after they completed their journey, on June 5th. 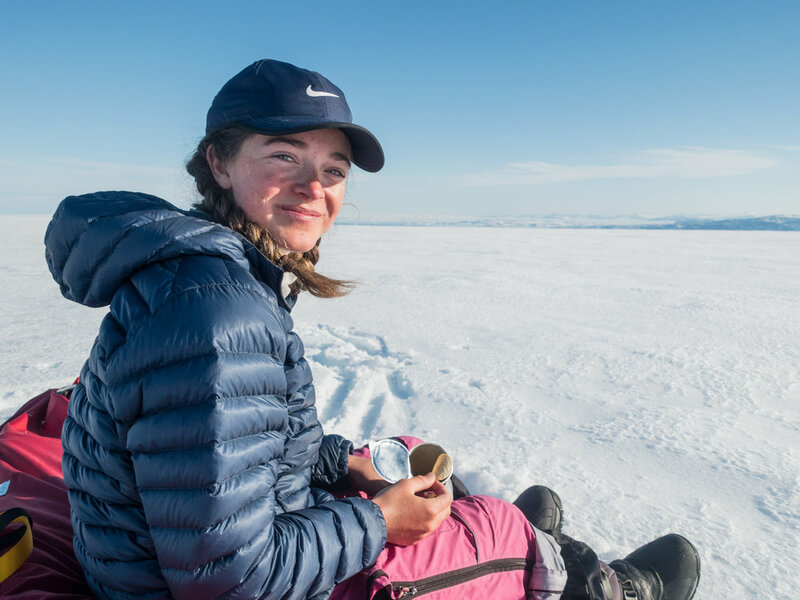 Teen polar explorer Jade Hameister after becoming the youngest woman in history to traverse the Greenland icecap, the day before her sixteenth birthday. She made the trip on skis, dragging a 70kg sled containing 30 days of supplies. To make things even harder, the weather was not always on Jade’s side. Her group had to delay their start date due to rain, and stop for two days during the trek to shelter and dry out their gear after being soaked in a blizzard. The group also had a close run-in with one of the locals, coming across the fresh tracks of a mother polar bear and her cub. They were 150km inland from the coast at the time (“where there isn’t much food, except us!”), so they spent a few nervous days setting up perimeters around the camp to make sure they were alerted to any unwelcome intruders. Jade had to drag a 70kg sled of gear behind her for the 540km journey. 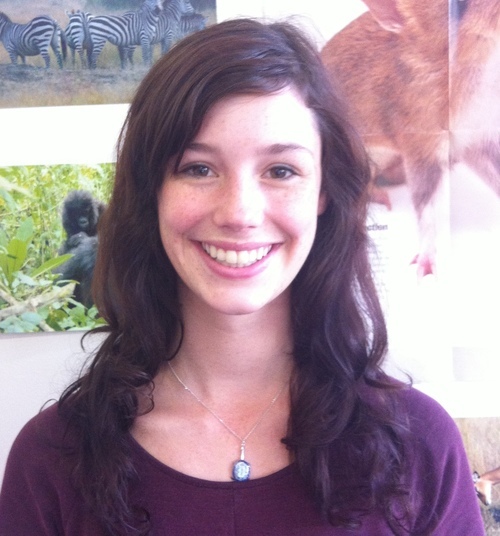 It is spending time out on the ice, and meeting the local people, that has solidified Jade’s view of our changing planet. Part of the generation that will inherit the effects of climate change, Jade has started using her firsthand experience of the most fragile part of the planet to raise awareness about the effects of rising temperatures. Jade now has her sights set on her next and final step: the South Pole. In December, Jade will ski 1,170km over unexplored territory, which may take up to 60 days, depending on the weather, to reach her final goal. Jade’s mission is not just about crossing the ice. She is trying (and succeeding) to show that young women should not just be valued by how they look, but by what they do. She has been pushed out of her comfort zone, and now Jade is embracing being a role model for other girls who may be afraid to give something new a try. All images courtesy of Jade Hameister.